We awoke to a smattering of faint blue light, peering through the heavy condensation on the rear window. The car had been shaking violently all night and due to the temperature difference between the interior and the outside air, the windows were drenched in moisture. 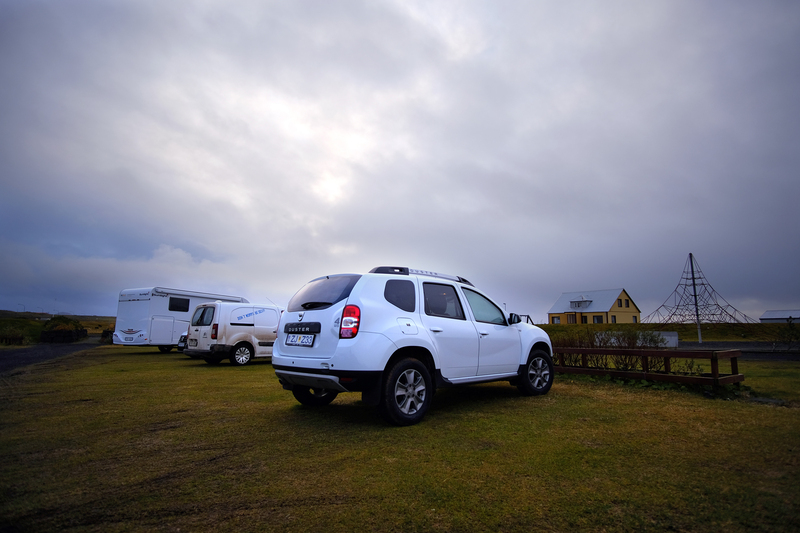 Welcome to sleeping in a Dacia Duster in the middle of Icelandic autumn. But now, the forces of nature had abated. 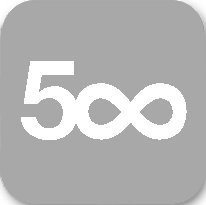 The storm had broken in the early morning hours and the weather, though far from pleasant, was showing marked improvement. We could now look about and actually see more of our surroundings. We headed to the kitchen and common area to see how we could manage breakfast. Because we had landed so late, we hadn’t had any chance to buy food, so we planned on relying on some very basic items brought over from Prague. 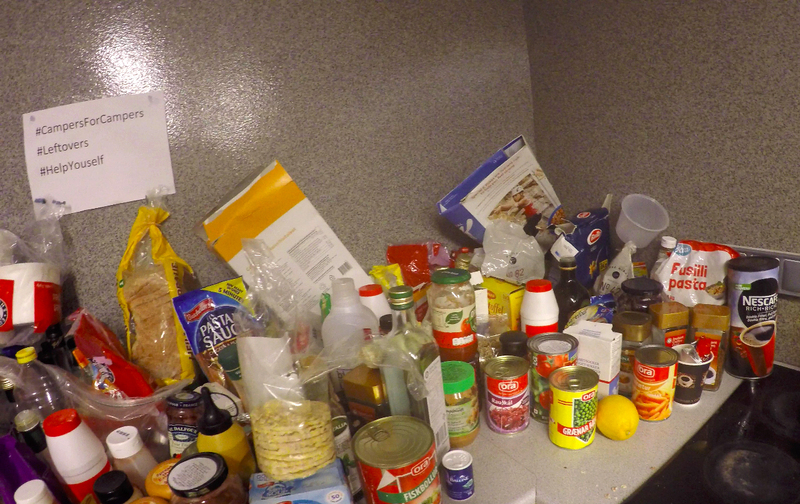 Once inside, it was a pleasant surprise to discover a very cozy and spacious kitchen area, that, along with plentiful cooking space, stovetops and utensils, featured an entire shelf piled high with leftover foodstuffs from other campers, free to use! 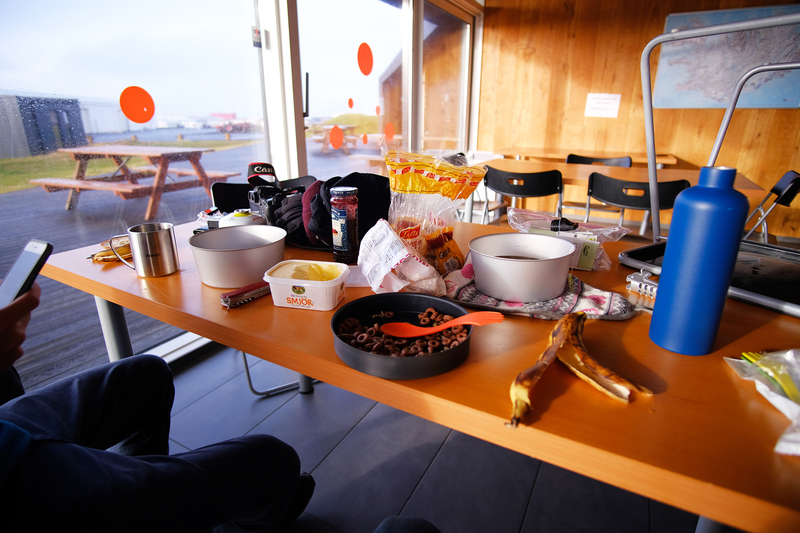 First breakfast in Iceland, featuring items from the common kitchen area: After eating and attempting to return to some sense of routine and personal hygiene maintenance, we took a look at the day-to-day itinerary we had prepared in advance, to see where we should head. 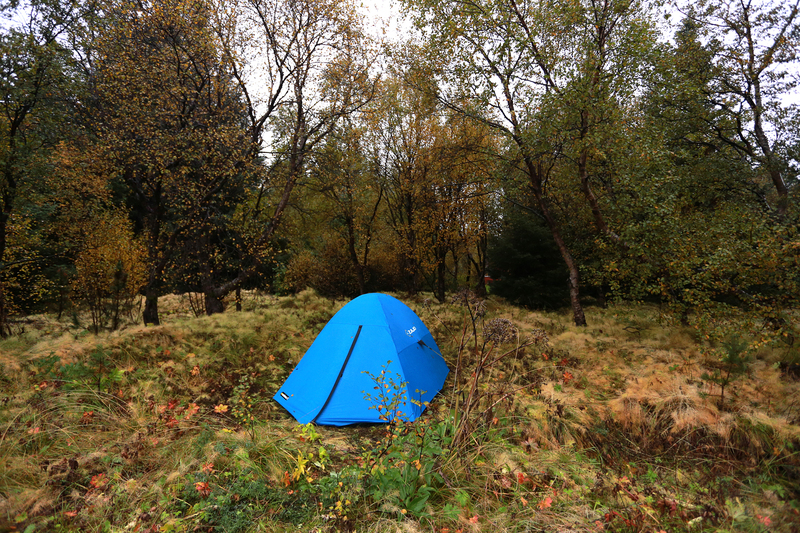 Free Wi-Fi from the campsite was also much appreciated, as it allowed us to scout out the weather and see what lay in store for the rest of the week. 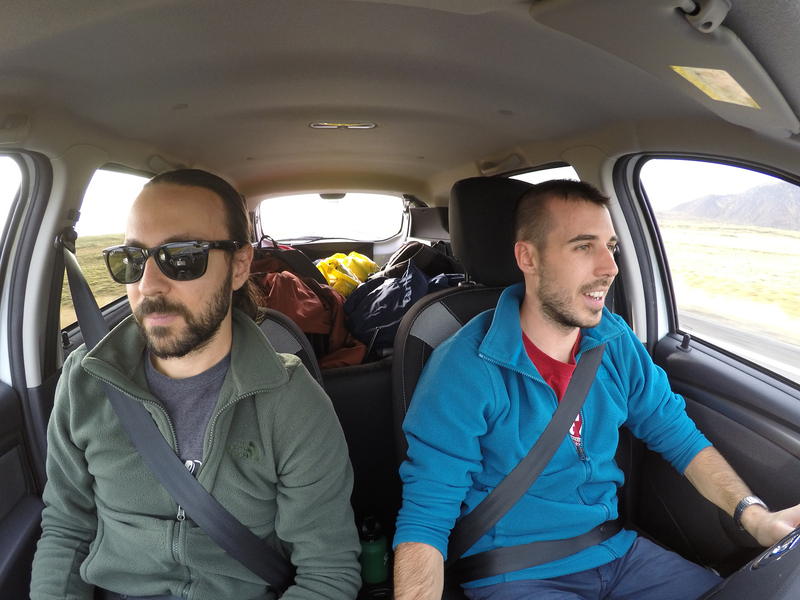 Our initial plan of heading northwest to spend a day (and a night) in Snæfellsjökull National Park and the surrounding peninsula, had to be scrapped, due to bad weather in that particular area of the island. 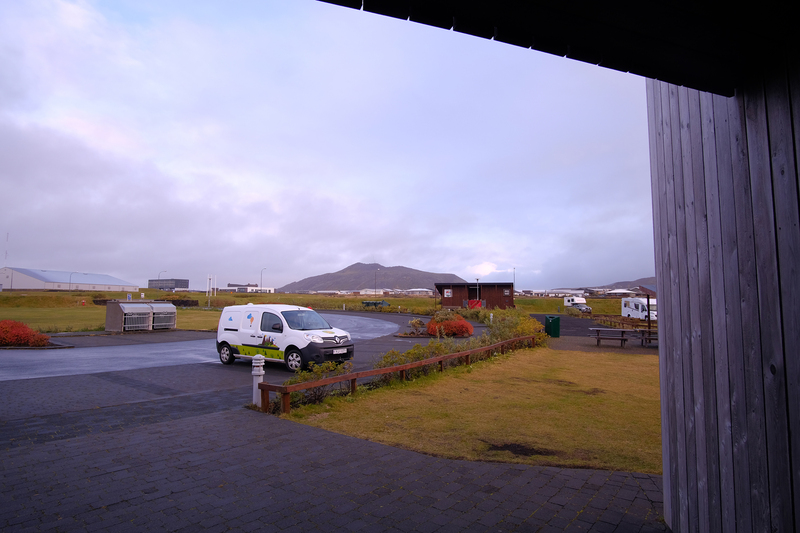 As the weather along the south coast looked to be more-or-less fine, we concurred that it would be best to continue down the coast and leave Snæfellsjökull for last. Of course, first things being first, food for the trip had to be secured. 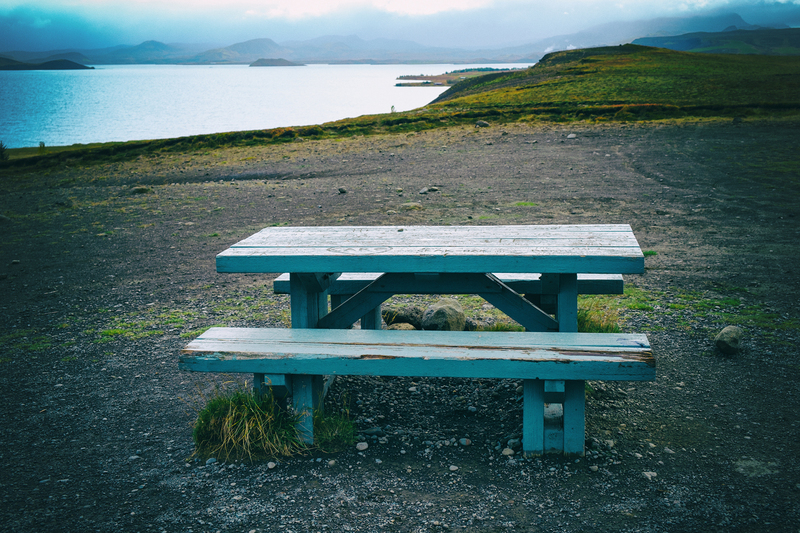 A cooking gas canister, again generously provided by the Grindavik campsite leftover service (many thanks!) 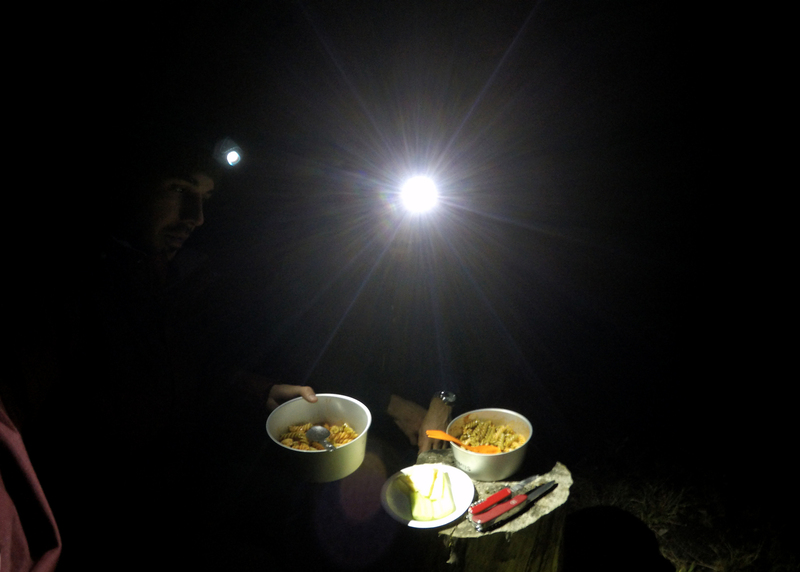 and topped off by a mini gas stove, was to be used for preparing food in the wild. Food itself, we would acquire from Bonus (a local cheap-ish market chain) in Reykjavik. 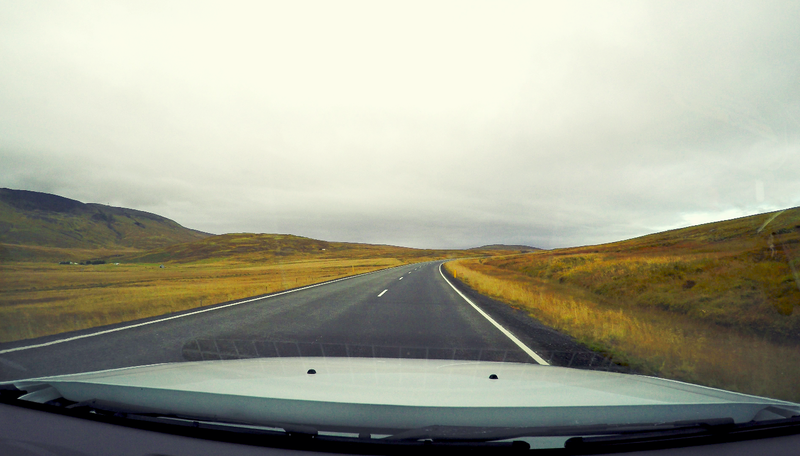 It was time to let the Duster hit the Icelandic roads again, this time in broad daylight. It was finally time for the trip proper to begin. We started out on the ring road traveling north, and soon took a turn onto Route 36, heading east. 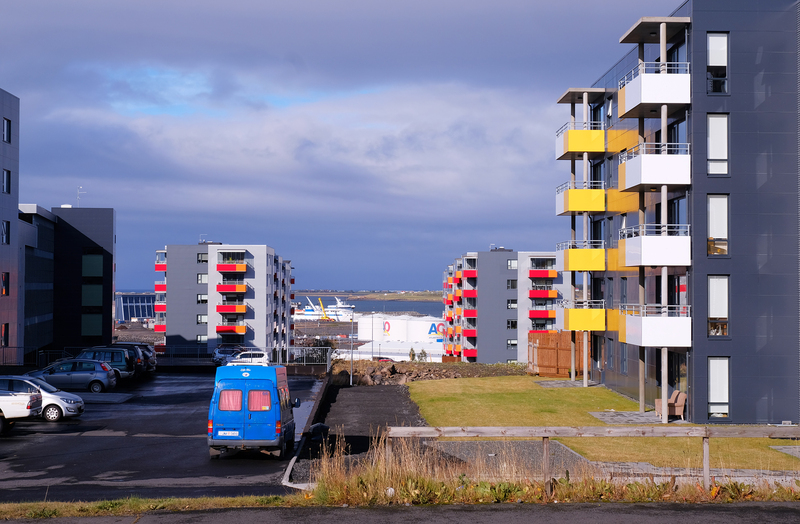 It wasn’t long before the majestic Icelandic nature began to make a grand entrance. Having arrived in total darkness and fierce, unwelcoming weather the night before, it felt like awakening after decades-long sleep to behold the contrast of the still-green peaks and valleys that lined the lonely road, extending seemingly endlessly in front of the Dacia. 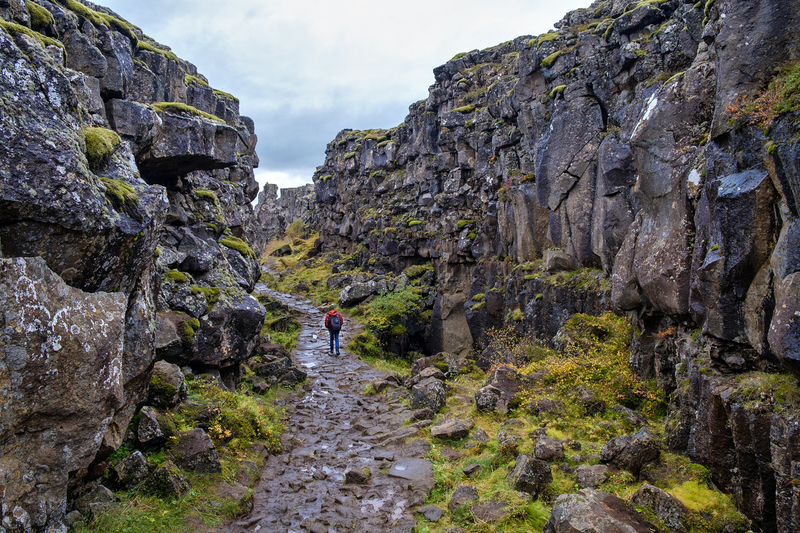 We took to the man-made pathway that led through the rocky ground into the park and toward the waterfall: As we continued down, the scenery changed somewhat drastically from the flat terrain that surrounded the entrance and parking area. 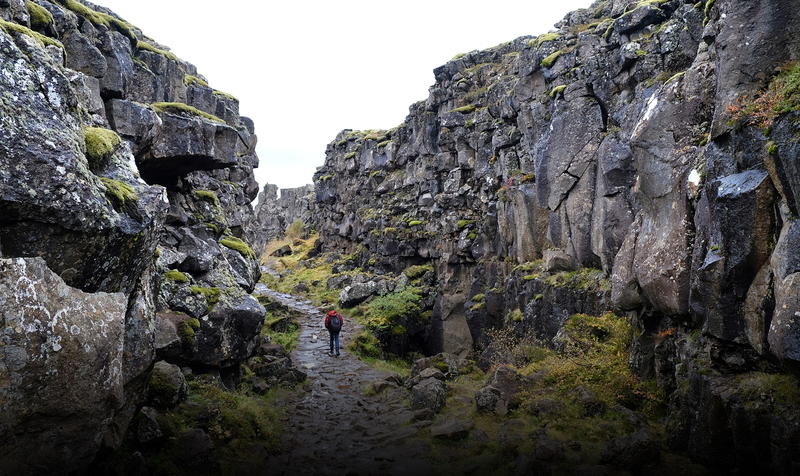 Apparently, we were unaware of an area called Gálgaklettur, or Gallows Rock that lined the way to the waterfall. On both sides of the path, rocky ledges rose suddenly toward the overcast sky, extending seemingly forever into the horizon. 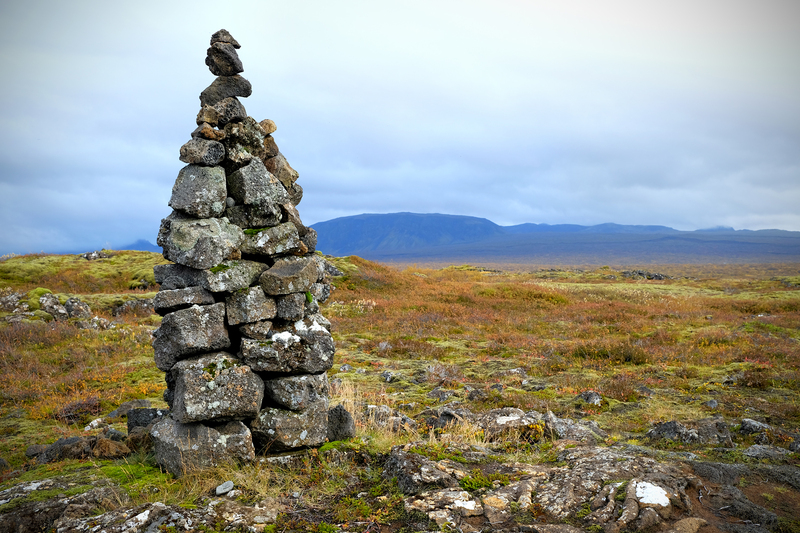 During the time of the Old Commonwealth in Iceland (930-1262) justice for infractions of all sorts was enacted by laws created by a national assembly but enforced by individuals. The rift we were now walking through was believed to be the site of many a hanging, which, in those days, was the penalty for theft. 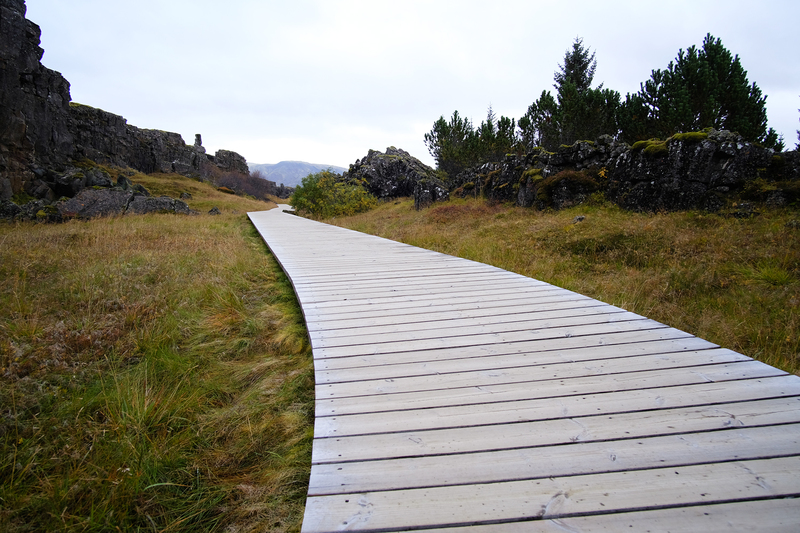 Seventy-two people were executed at Þingvellir from 1602 to 1750. 30 males were beheaded, 9 burned at the stake and 18 women were drowned. Here in Gálgaklettur 15 men were hanged. With that cheerful history in mind, let’s continue on to the waterfall! 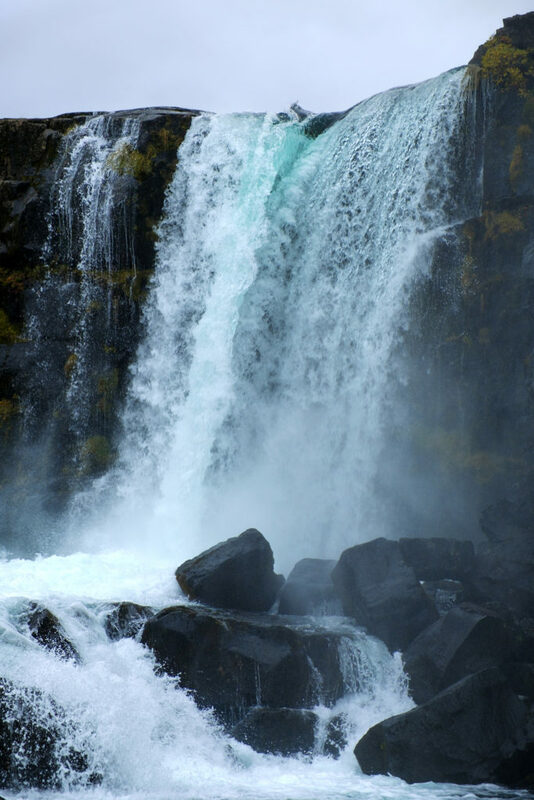 The Öxarárfoss waterfall, though not sizable, looked to be a majestic site on a clear day. However, given the (again) darkening weather, I suspect we got to see it in only a small portion of its glory. 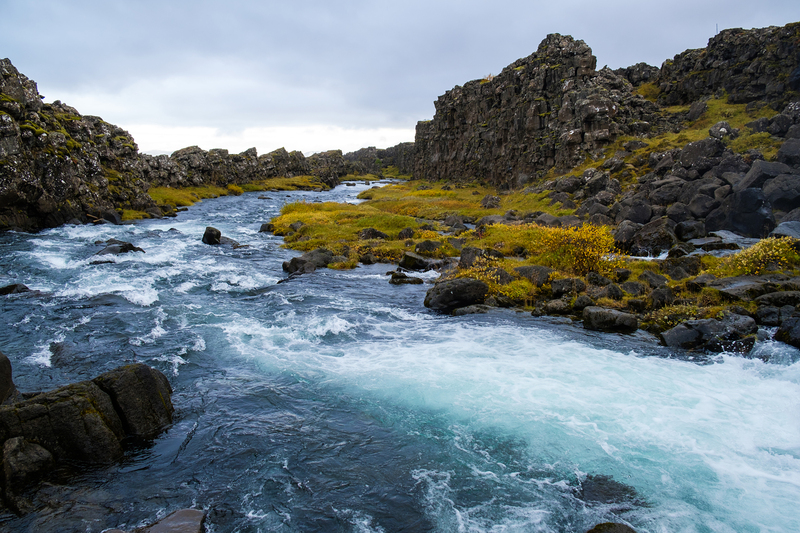 It was still a pretty sight, with water dropping off the precipice into a scenic river below: Next up was Geysir, a large (you guessed it) geyser in the southwest of Iceland about a 45-minute drive away from Þingvellir. 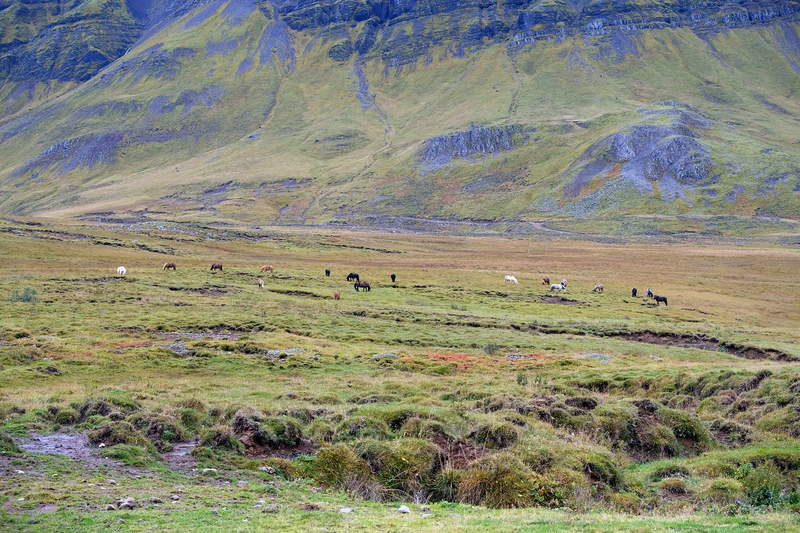 The drive down was nice and easy (and of course, scenic), but once we arrived at the large parking lot, we began to become acquainted with one of the most unpleasant aspects of Iceland and something that would become an ubiquitous feature of the trip – the multitudes of selfie-stick-wielding tourists, present (sometimes delivered by the busloads) at every single point of interest – even in the middle of autumn and in some of the most undesirable weather one can imagine! Globalization, gotta love it. 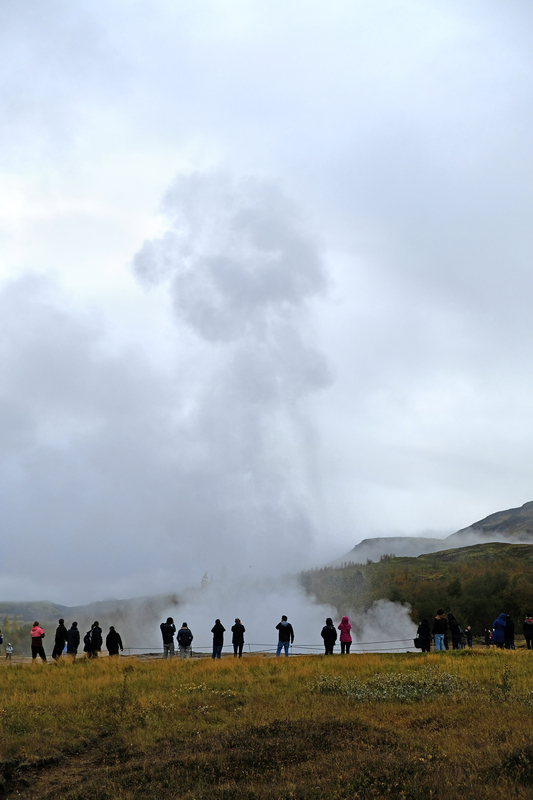 Regardless, we were there, parked, and by the looks of it, Geysir was about to spew. 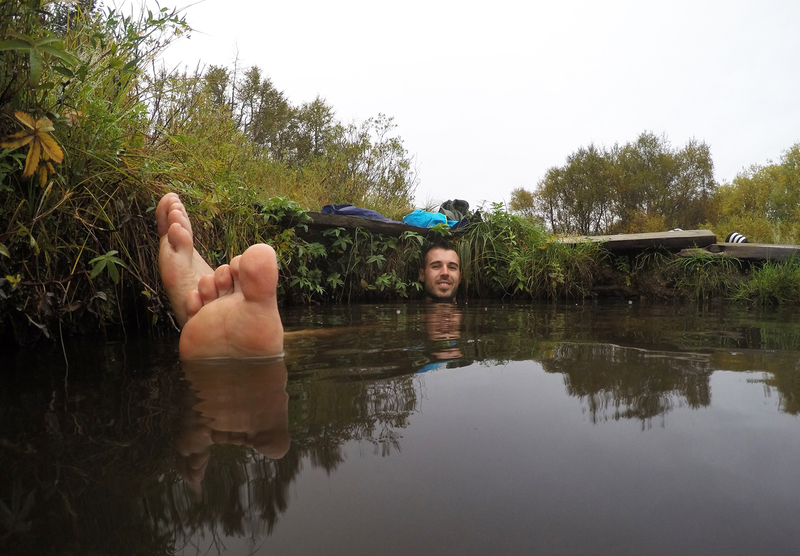 So, we got our cameras, and like the rest of the tourist hordes, headed the way of the hot water. 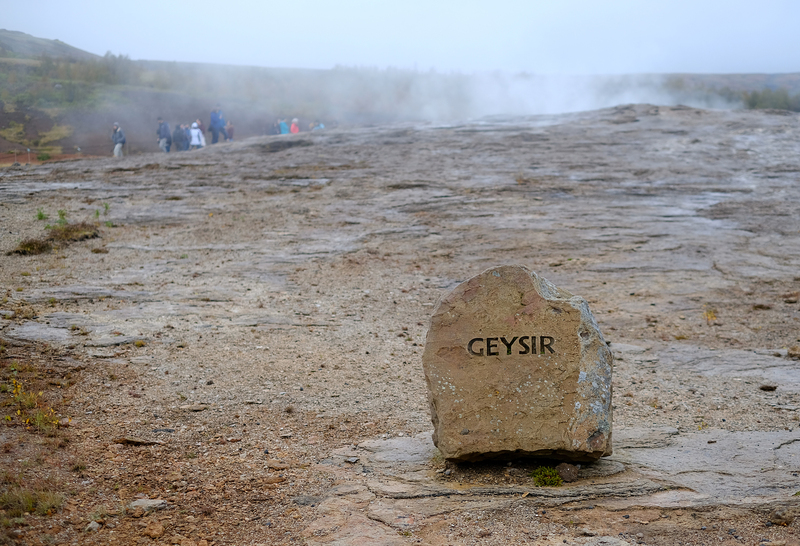 Geysir, however, was not the final destination. It was not even the main attraction. In fact, it more-or-less, happened to be on the way to something smaller, better and dare-we-say, more important? 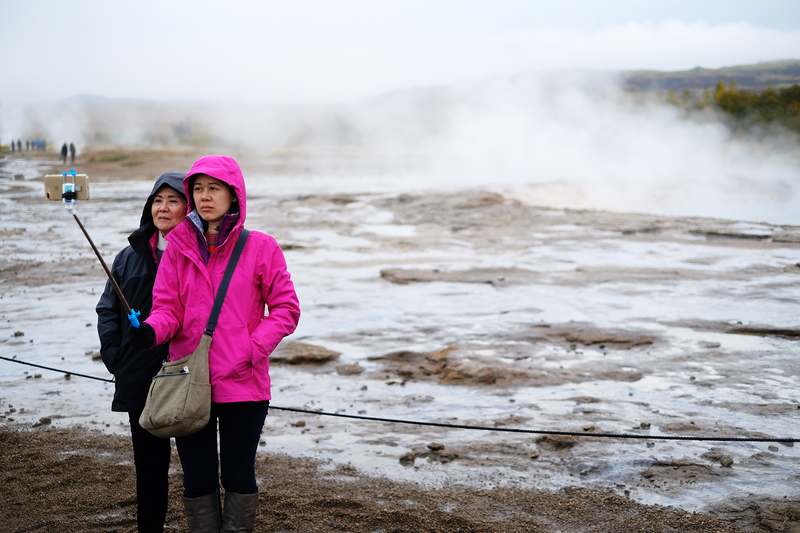 Past the tourists, past the parking lot and the areas within which, as a proper visitor you are supposed to remain, lay something far more interesting, engaging, positive-energy-generating and smile-inducing than watching a geyser erupt hot water toward the murky September sky. 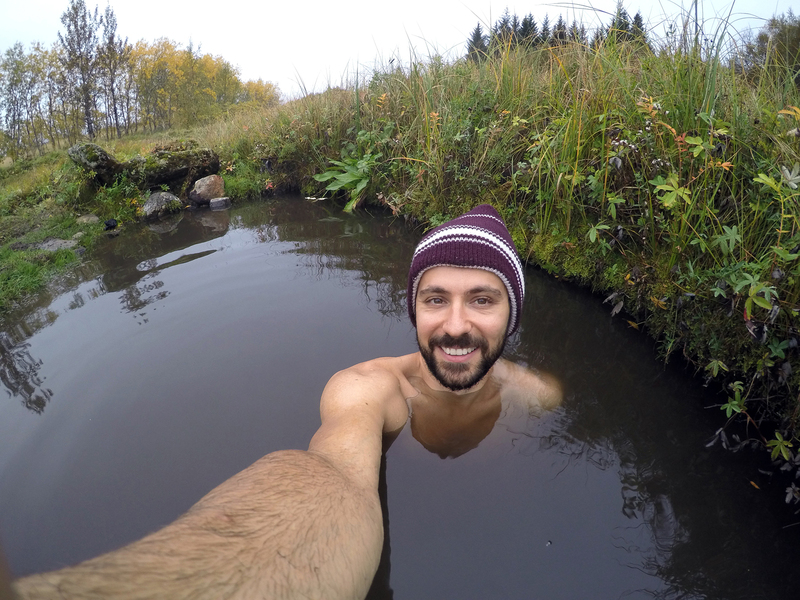 In autumn Iceland, after being at the mercy of rain, wind and cold all day, what could be better than a…hotpot! Hilarity ensued and good times were had by all: Since we were already parked and there seemed to be absolutely no one in the area, we decided to spend the night where we were. 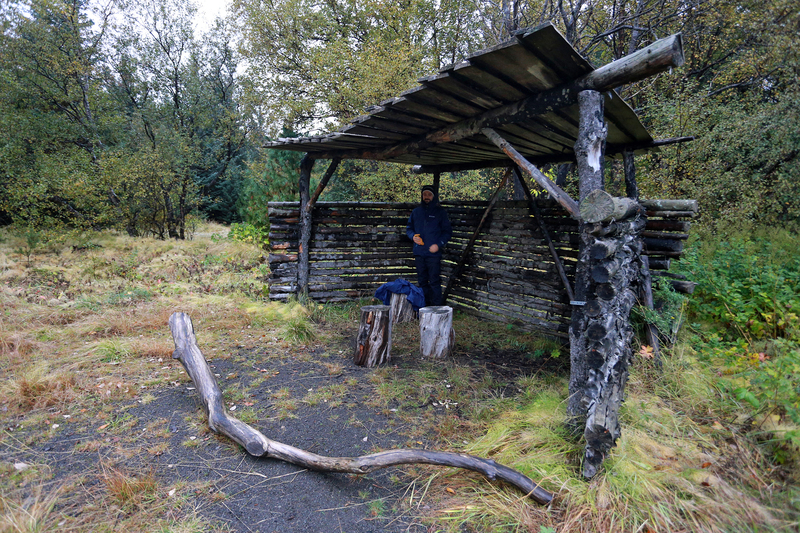 A small wooden shelter and a nice flat place to lay out the tent greatly contributed to the decision. And just like so, Day One was in the books!